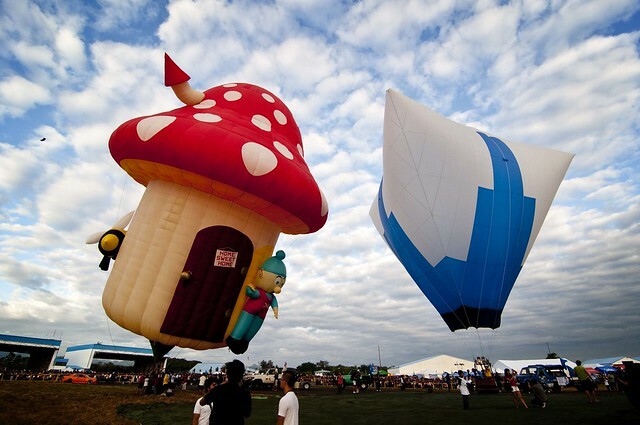 The Philippine International Hot Air Balloon Fiesta is an annual 4-day event in Omni Aviation Complex in Clark Field, Angeles City, Pampanga.. It was first conceived by the tourism department to help revive the economy of the lahar devastated province. 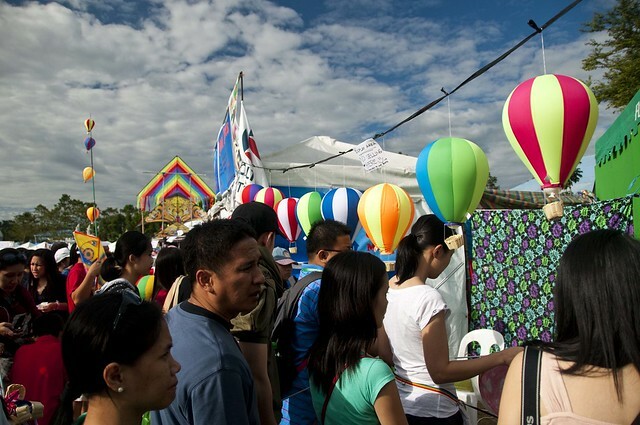 On it’s 16th year, the colorful festival features creative hot air balloons in various shapes and form. 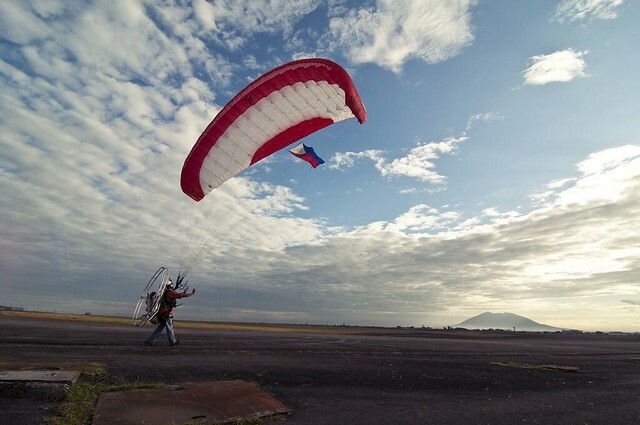 It also exhibits different aviation shows such as paragliding, light airplanes, flying formations, kite flying and others. 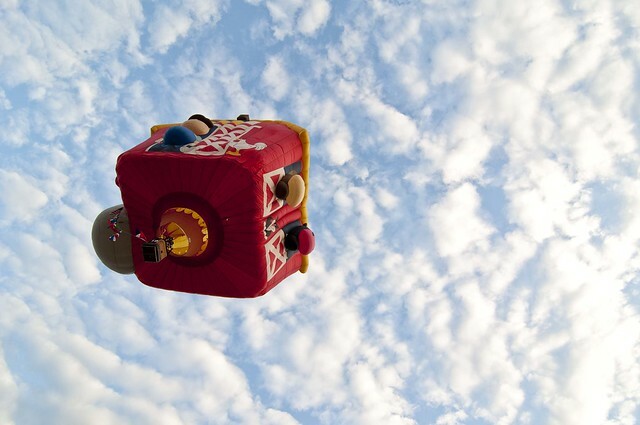 I joined the balloon festival the first time in 2009. It was a lot of fun but we had to battle the crowd for the front row of the fenced area to take pictures of the hot air balloons. So we did plenty of lying on the grass and took 5 photos. The flag ceremony is at 6:00 a.m. and so we were in Clark by 4:00 a.m. We didn’t sleep actually, leaving Manila at 1:30 a.m. but worth it. So happy to cut through the long line of traffic going into the air field. 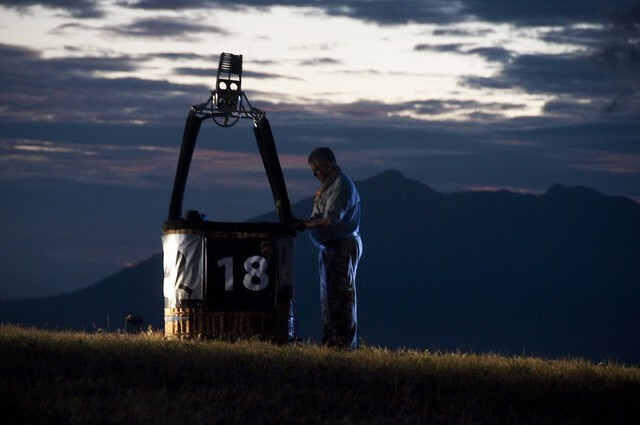 As we were there before sunrise, we also get to witness the balloon pilots arriving and begin setting up their balloons. It’s quite interesting. We all definitely appreciate the freedom of being able to roam around the airfield, having been on the other side of the fence before. I used to be able to fit all the balloons in my camera frame being so far away, haha. But wow, this time I’m able to get up close and personal with the balloons. Here are some of the more creative ones..
want your very own hot air balloon? The increase in visitors going to the festival is definitely remarkable with many people doing gimmicks like wedding proposals at the field. It’s really good news serving well the City of Angels. Hopefully it will become an important international festival. It was an impressive crew having to arrive outside our villa 10minutes early. Im glad you guys had fun. Its always nice to meet new down to earth group of friends. Thanks for posting. Nice post, this looks really fun. 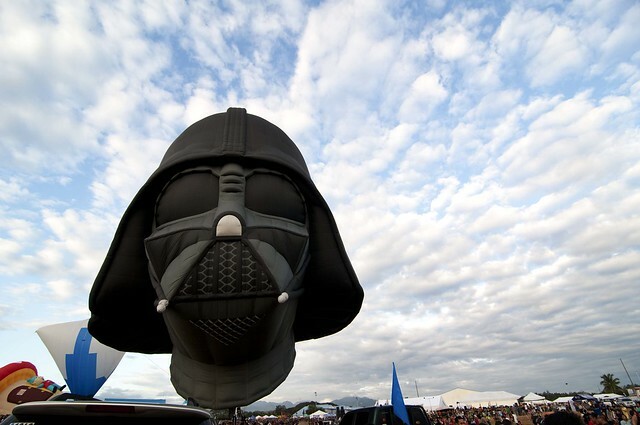 I agree that the Darth Vader is the popular one, it is very cool. Thanks for sharing. cottony clouds were the icing on the great shots! i want those AAA VIP ID too next year!!! How cool! I haven’t heard of this hot air balloon festival. I love the photo in the early morning with the man. i want to experience this na next year. haaay, sana ok na sked by that time. sana may yoda na balloon next time or chewbacca. :) star wars fan here! What gorgeous, crisp, colorful shots! 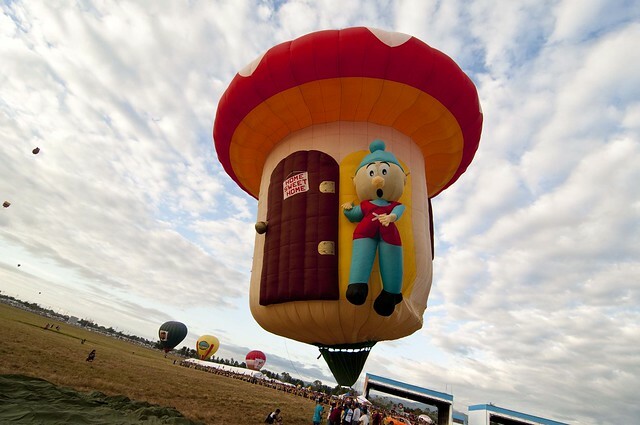 I’m dying to one day go to the hot air balloon festival in New Mexico. Thank you Kristin! I look forward to see it in your blog to compare it with ours. OMG what fun!!! Hot air balloons are such an awesome experience. it was indeed Andi! hoping next time I’ll be able to ride the balloon too!